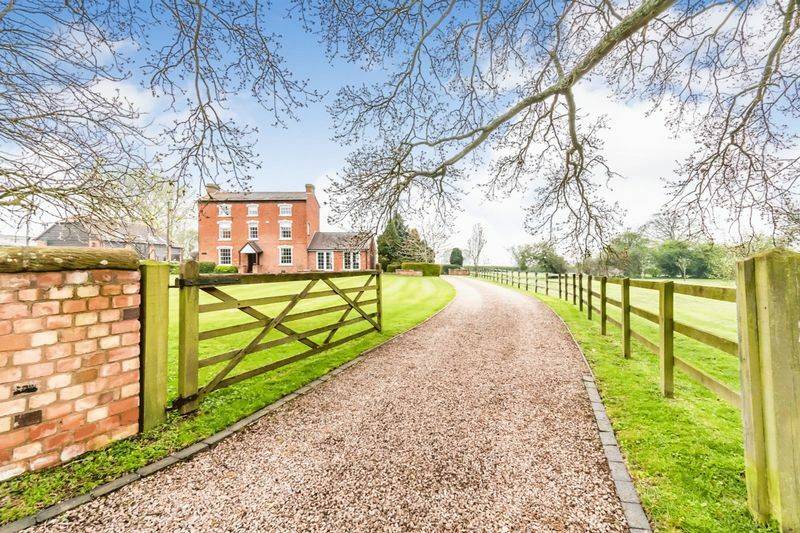 Sharpway Gate Farm is a superb Georgian Residence, built at the end of the 18th Century and having undergone significant renovation and extension when purchased by the current owners in 1986. 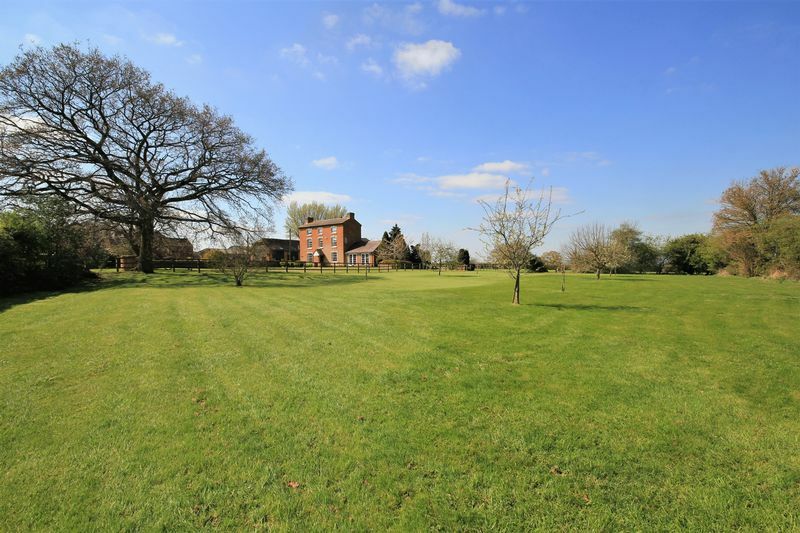 Standing in grounds of 1.78 acres, consisting of formal gardens, paddock and orchard, this beautiful home is in an enviable position and enjoys far reaching views cross open countryside. 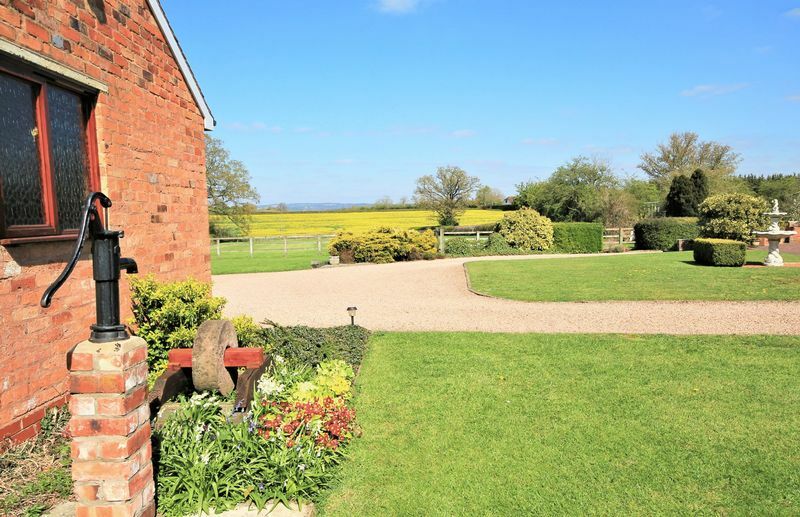 Ideally situated in a quiet, rural location, yet just 3 miles from the M5 (junction 5) for those who need to commute. 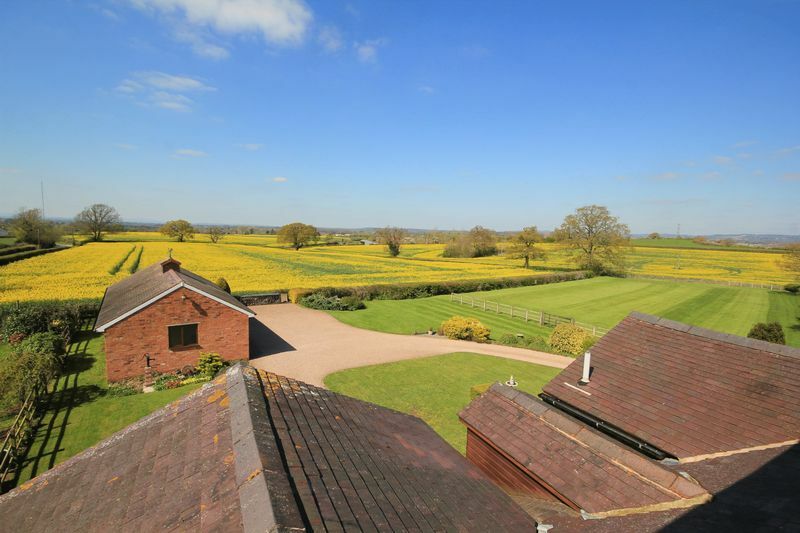 The busy market town of Bromsgrove lies 4 miles to the north and the larger Cities of Worcester and Birmingham are also within easy reach. Train stations can be found at Droitwich, Bromsgrove and Worcester (the new Worcester Parkway railway station, which will offer improved access and capacity to London, is under construction). The new electrified line from Bromsgrove offers fast access to Birmingham City Centre. 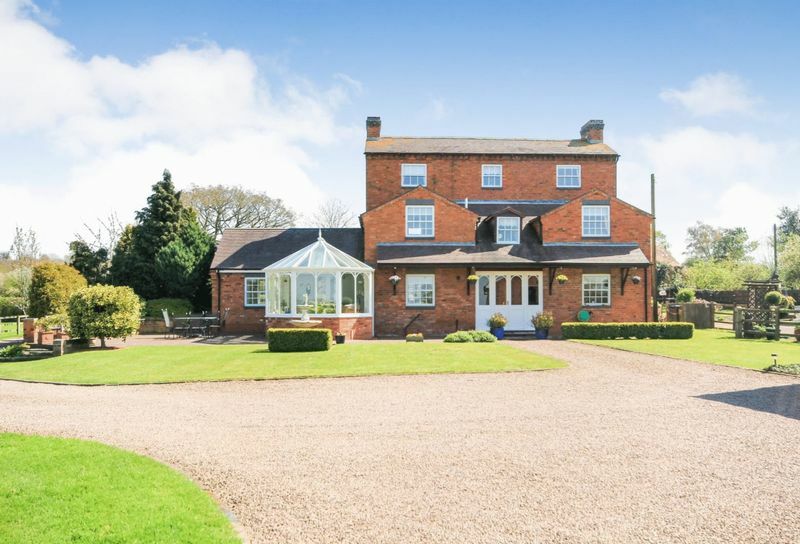 If education is a priority, primary schools can be found in the nearby villages of Stoke Prior and Hanbury which both feed into Bromsgrove middle schools. 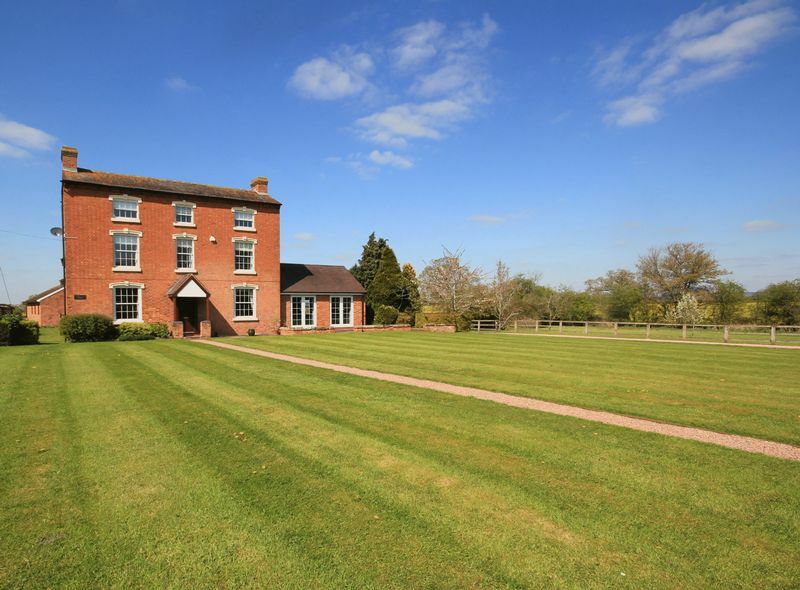 The independent sector is well served by the renowned Bromsgrove School offering a reputation of international repute. 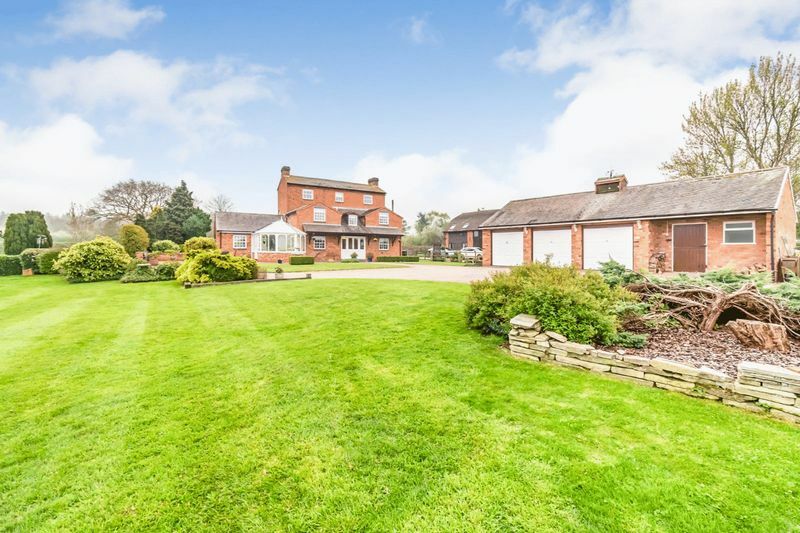 Further afield, highly regarded schools may be found in Worcester including The Royal Grammar School and King’s School. 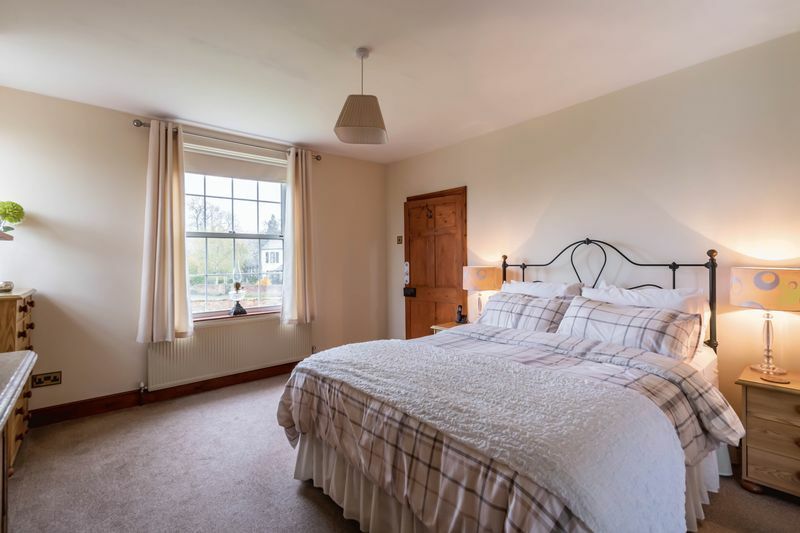 The spacious accommodation is arranged over 3 floors and offers well proportioned, light and airy rooms. 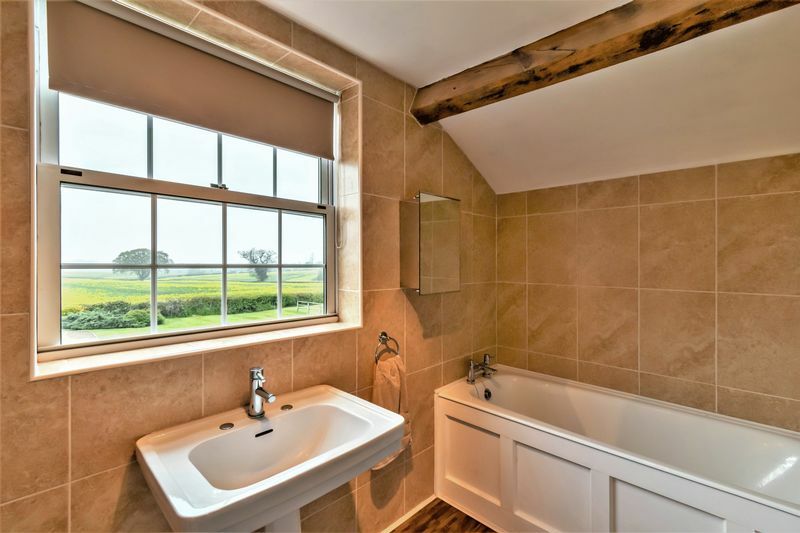 The sympathetic renovation has successfully retained much of the original character. 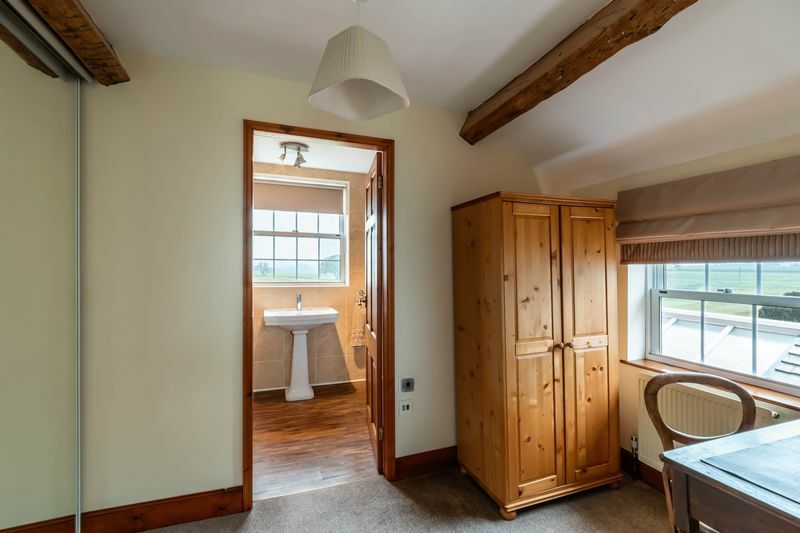 When entering from the rear of the property you are greeted by an entrance porch with ample coat hanging space and shoe storage. 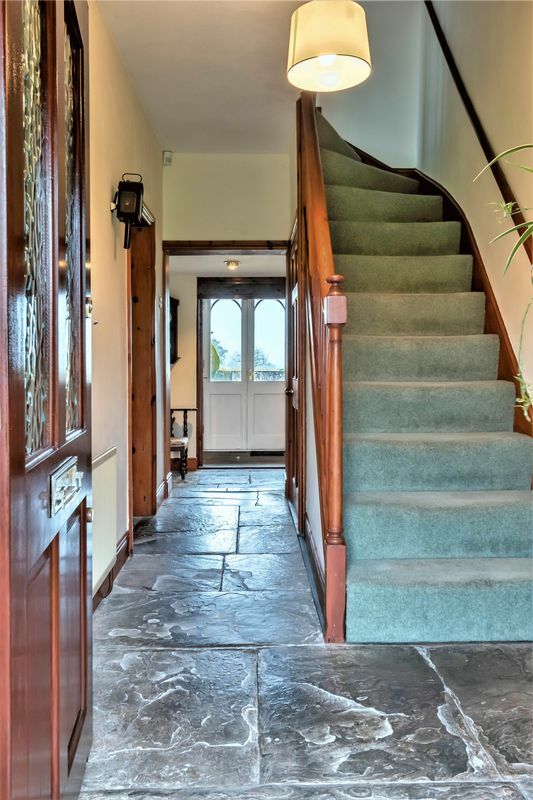 This then opens into a large, welcoming entrance lobby and further hallway leading to the stairs. 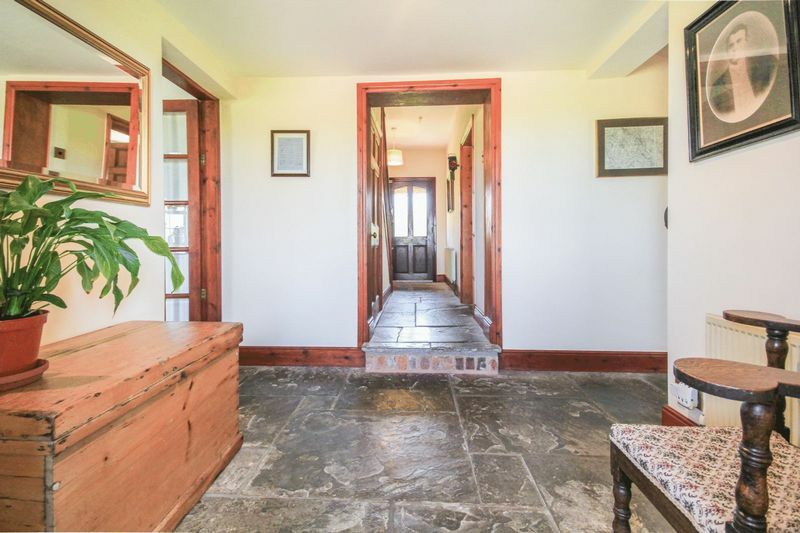 You will immediately notice the stunning flagstone floor that runs through this area. Off the lobby is access to a WC and a cellar which is currently blocked off but easily re-instated. 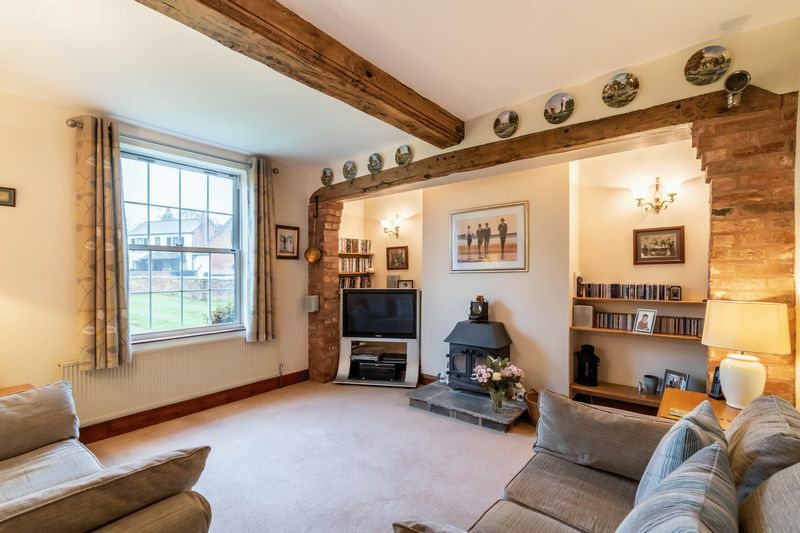 The first of the four reception rooms is a lovely sitting room with original wooden beams and a cast iron, wood burning stove that gives an immediate homely feel. 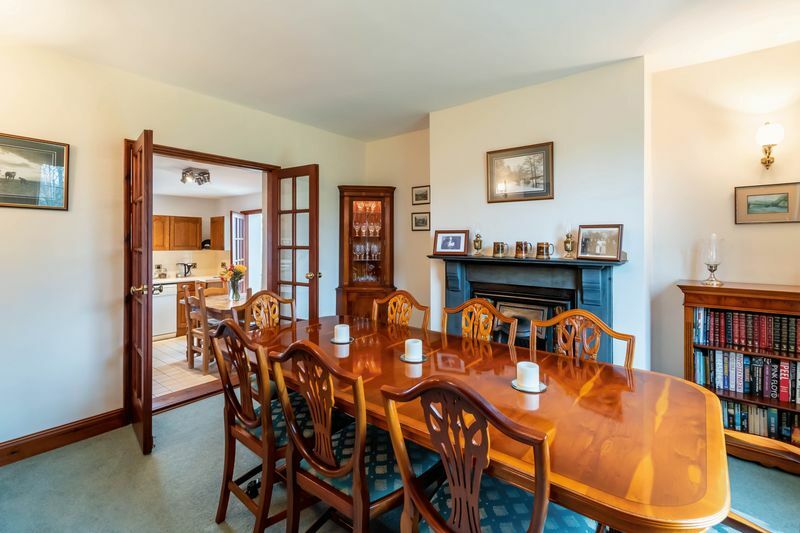 There is then a good-sized dining room that can accommodate a large dining table for entertaining. 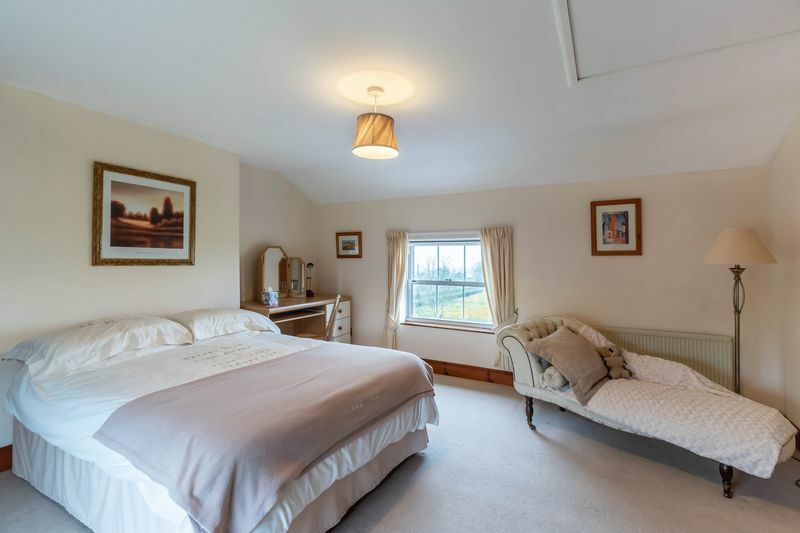 Both rooms enjoy views over the lawned front gardens. 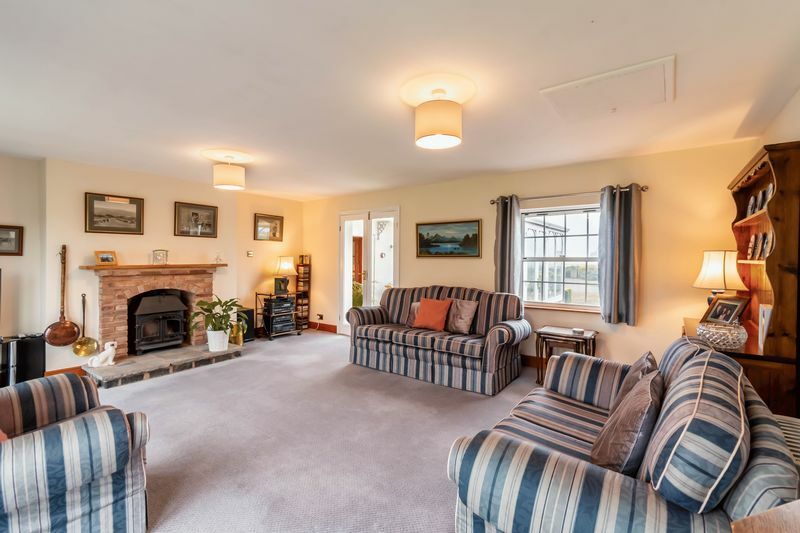 The impressively proportioned lounge benefits from windows to three aspects as well as another wood burning stove. 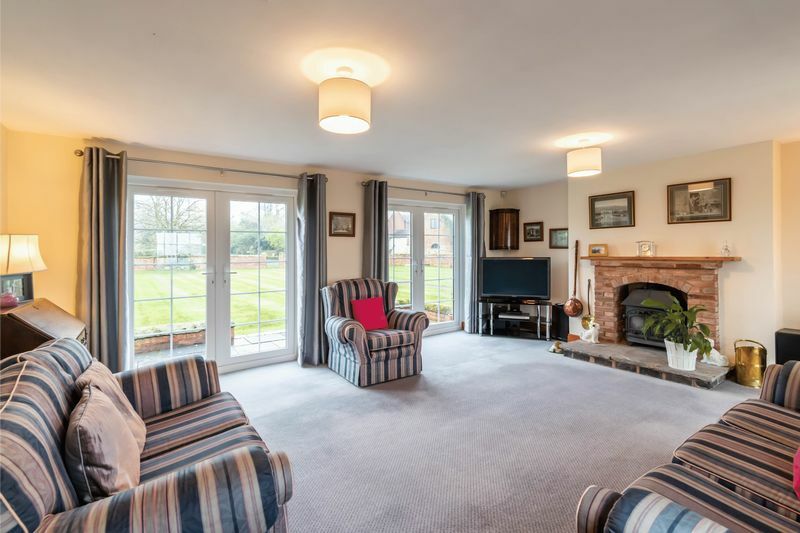 This room is ideal for larger family gatherings and opens out on to the fantastic conservatory offering even more entertaining space. 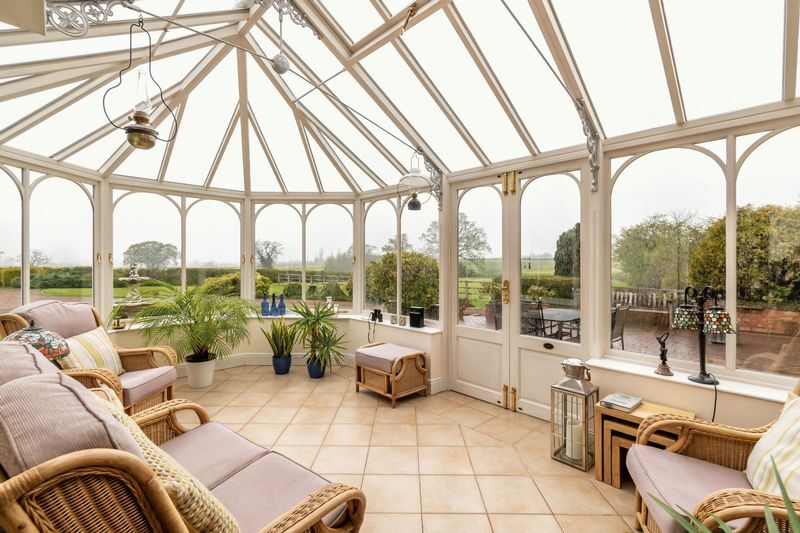 The conservatory commands a fine outlook and from here you can sit and enjoy the local wildlife with regular visits from pheasants, moorhens and ducks, all of which have made this beautiful place their home. 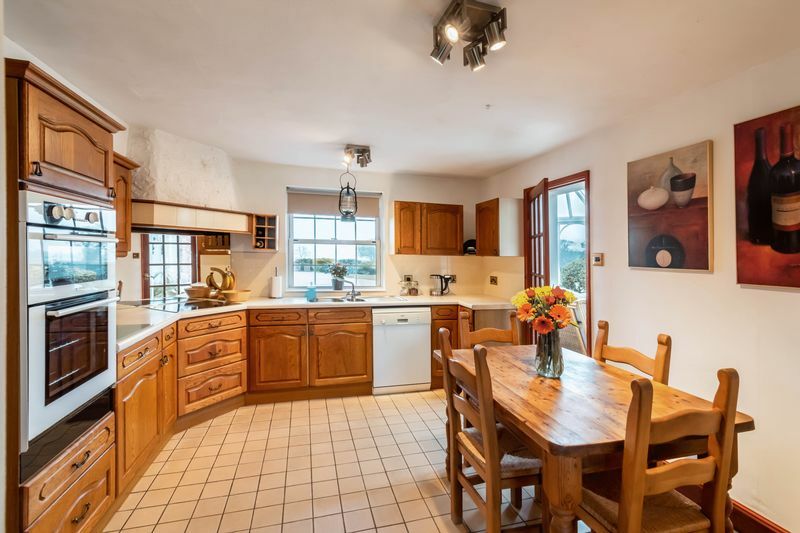 The kitchen is of course the hub of the home and is large enough to accommodate a further dining table. 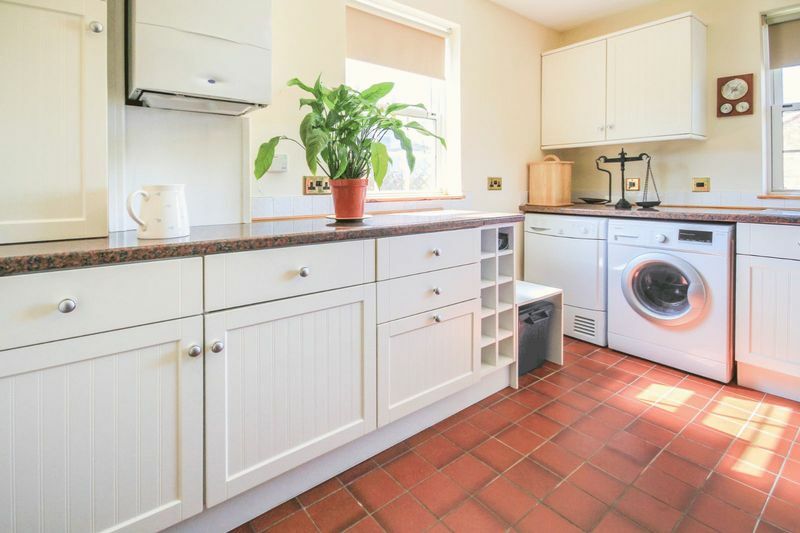 It also offers solid wooden units, an integrated double oven, hob, fridge and dishwasher. 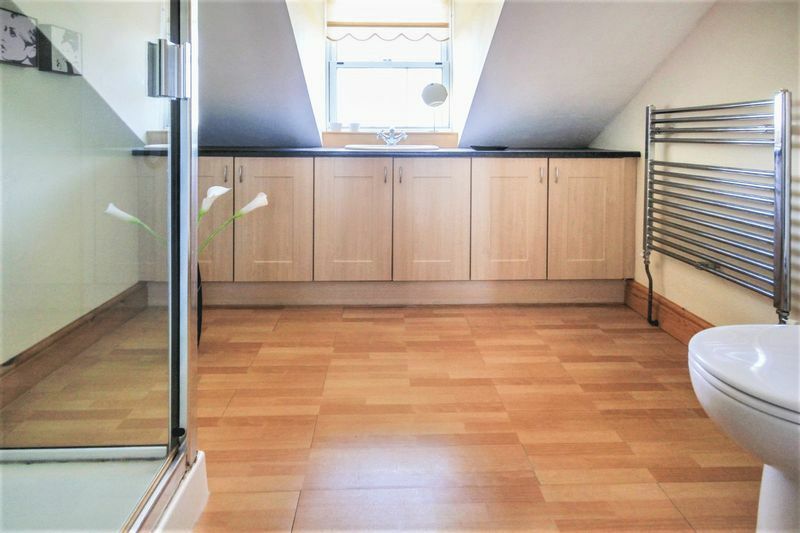 The large utility room provides plenty of additional cupboards as well as space and plumbing for a washing machine, tumble drier and freezer. 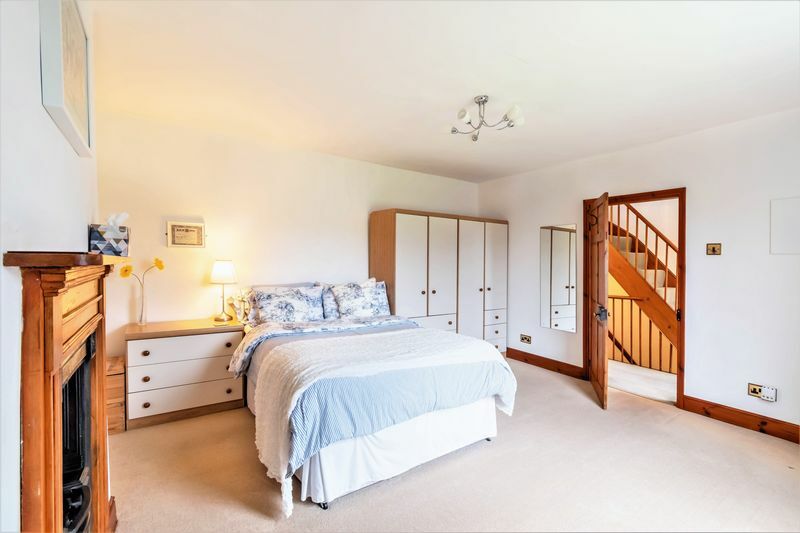 To the first floor is a superb Master Suite, consisting of an excellent sized bedroom leading into a separate dressing area, with fitted wardrobes, and then on to a recently fitted en-suite with separate bath and shower cubicle. 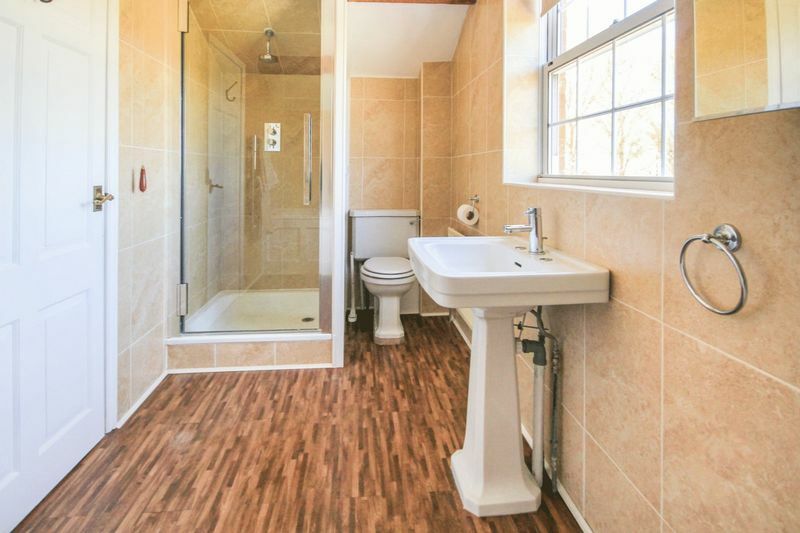 Also located on this floor are bedrooms 2 and 3 and a well fitted modern shower room. 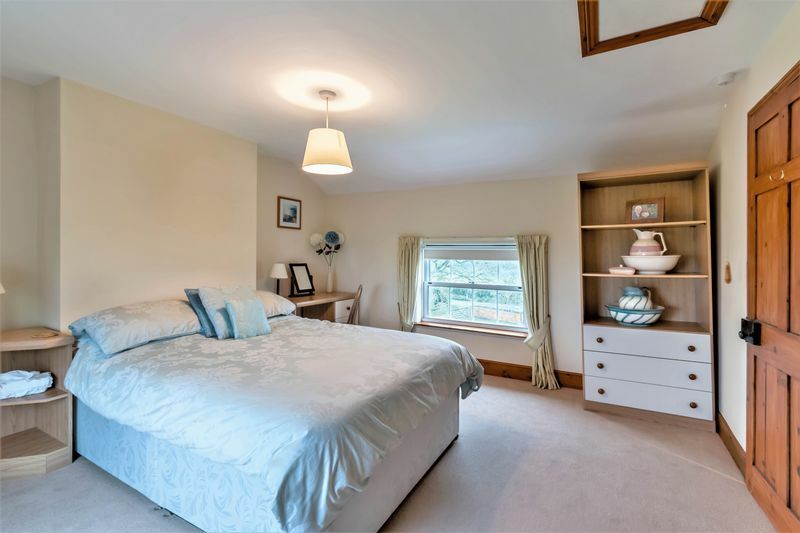 To the second floor there are two further double bedrooms which are served by separate WC. 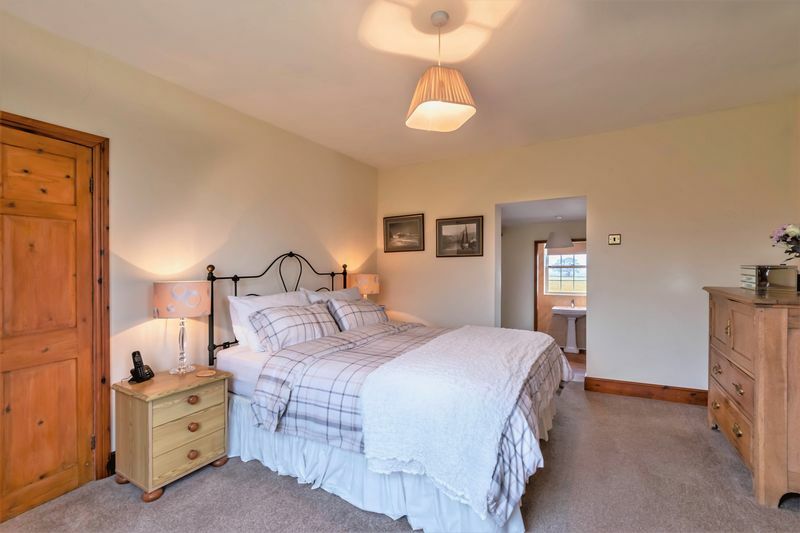 These bedrooms enjoy magnificent, far reaching views to the front and rear of the property. 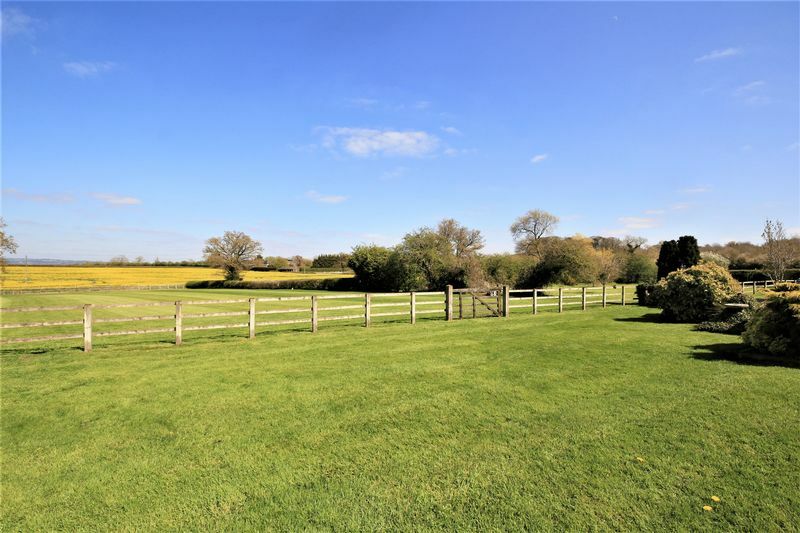 The property is reached via a long gravel, gated driveway leading you to the rear of the property with ample parking for several vehicles. 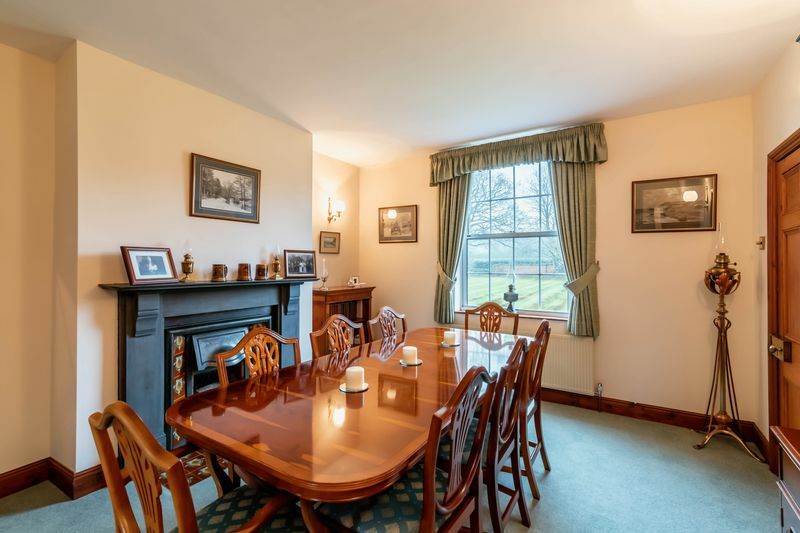 There are immaculately kept, formal gardens to the front and rear of the property and a large block paved patio area for outside dining and enjoying the sunset. 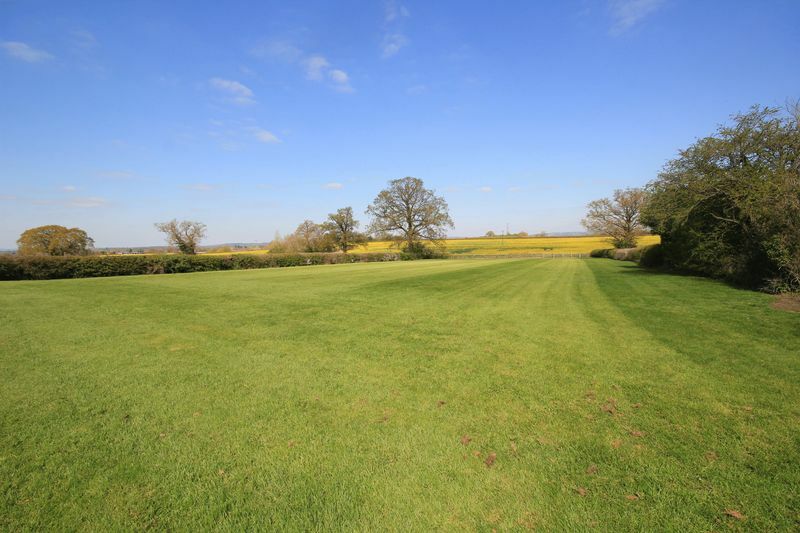 The grounds further extend to a fenced paddock and recently re-stocked orchard. 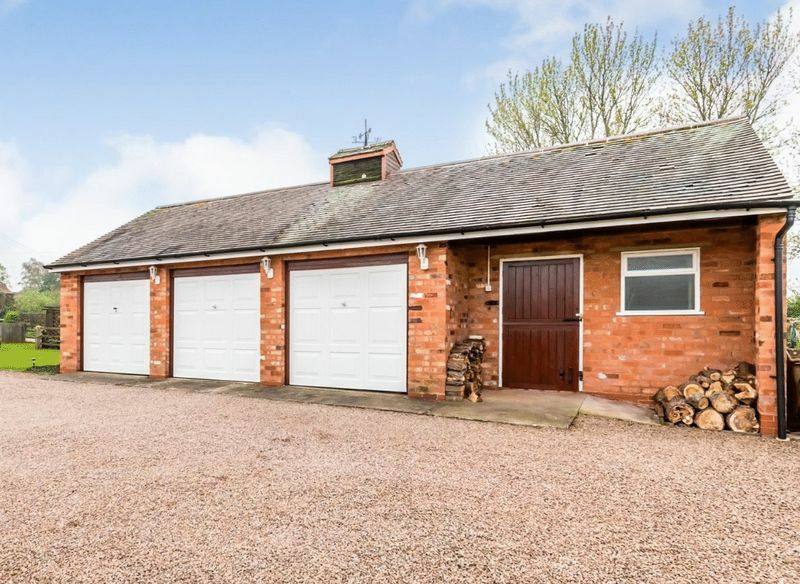 The outbuildings consist of a triple garage block and a large single stable. Services - Mains gas, water and electricity. Private drainage system. 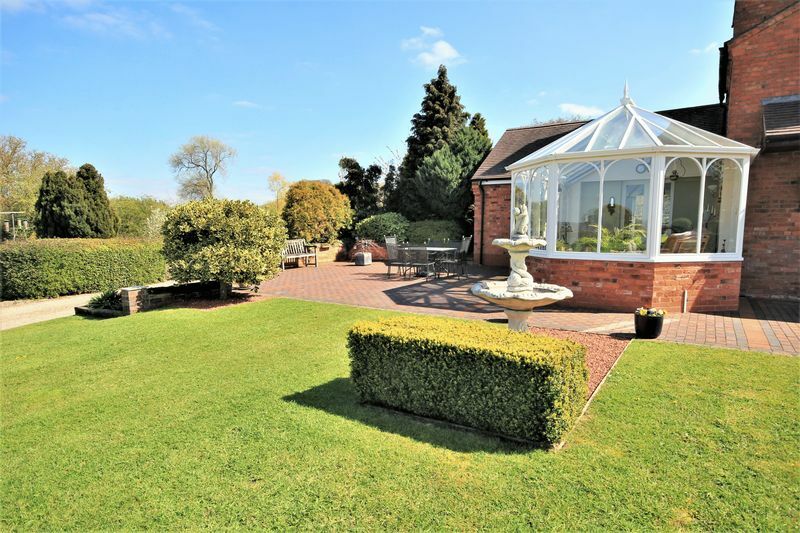 Local Authority is Bromsgrove Council - Council Tax Band F.
Viewing Arrangements- Strictly via agent. 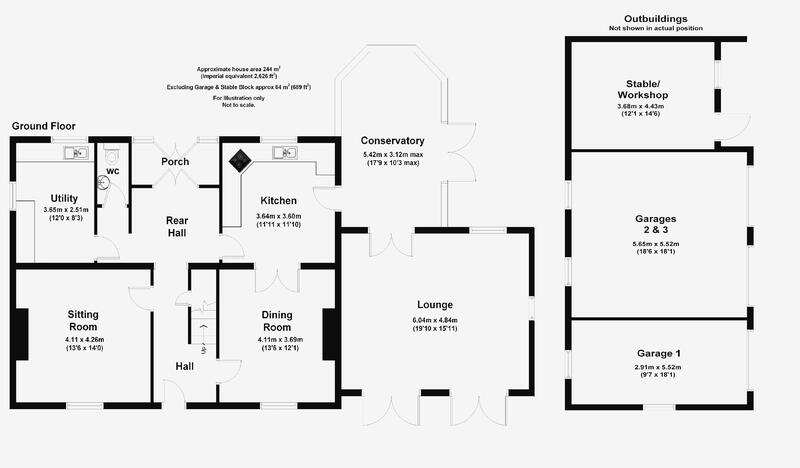 Declaration – The vendor of this property is personally connected to the agent.